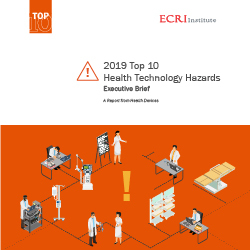 ECRI Institute, one of the nation’s leading patient safety and medical technology research organizations, places health technology cybersecurity at the top of its just-released 2019 Top 10 Health Technology Hazards. 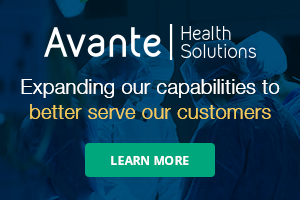 The report highlights the potential for hackers to exploit remote access systems to gain unauthorized entry to a healthcare organization’s networked devices and systems. Such attacks can disrupt healthcare operations, hindering the delivery of care and putting patients at risk. Cybersecurity is clearly a growing concern. ECRI Institute published 50 cybersecurity-related alerts and problem reports in the last 18 months, a major increase over the prior period. The annual list defines the top health technology hazards that ECRI Institute believes warrant priority attention by healthcare leaders. It serves as a starting point for discussions, helping healthcare organizations plan and prioritize their patient safety efforts. Other topics on the list include contaminated mattresses, retained surgical sponges, improperly set alarms on ventilators and physiologic monitors, recontaminated endoscopes, infusion pump errors, mechanical failures with overhead patient lifts, damage to electrical equipment from cleaning fluids, and battery charging errors. ECRI Institute’s engineers, scientists, clinicians, and other patient safety analysts select topics based on insights gained during incident investigations, medical device testing, and reviews of problem reporting databases. They weigh factors such as the severity, frequency, breadth, insidiousness, and profile of the hazards. For questions about ECRI Institute’s 2019 health technology hazards or membership programs, call (610) 825-6000, ext. 5891, or e-mail clientservices@ecri.org.